This will be a simple question if you are the professional videographer or have a strong passion for technology gadgets. But for regular folks who love to take videos for personal or work-related issue. 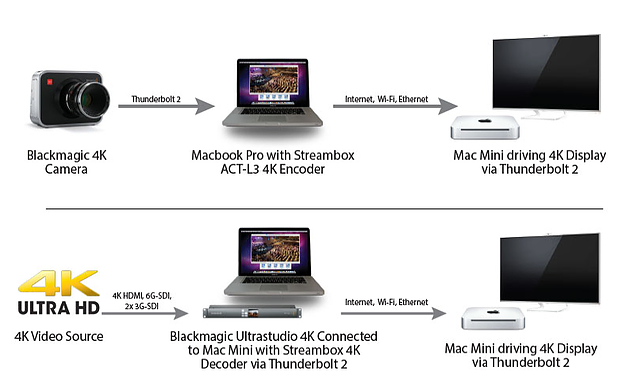 It will be good to understand the difference of 4K video streaming and 6K video streaming for your cameras or other smart devices like mobile phones or tablets and also the difference of the visual effect when you view the video using your laptop or TV monitor. The alphabet “K” represents the numbers of one thousand pixels that is in the horizontal format in a single image. Which means that 4K is equal to 4000 pixels per video and 6K is 6000 pixels. Thus the more pixels in the video, you will have the higher resolution and is able to see the details more clearly. With higher resolutions, the editor can zoom into the individual image of the video and reframe them without compensating the quality and also improve the colour’s spectrum at the same time. Currently, professional videographers are using 4K for their video streaming or film production but depending on situations such as doing outdoor events or specific requirements by their clients. However, more and more movie productions companies have switched from 4K to 6K and sometimes even 8K for better results. But I will personally recommend 6K video streaming as it’s is good enough for the viewers as they might not want to see the video or movies that are too well defined in the details which it may be a bit too graphic disturbing to some of them. As for 8K videos, studios will require the latest model of video cameras and a strong IT system to support which means the initial cost to develop the videos or movies are higher than 4K or 6K. So depending on the client’s requirements and what kind of media platform that the viewers are watching. Studios will usually make the best judgement to see if the video produced need to be in 4K or 6K format and since the cost of producing the 4K videos are higher than 6K videos. Companies will only request studios to make 6K videos for marketing reasons such as the video advertisement for new models of the television that is displayed in the showroom or making animated or 3D movies that demands a higher resolution for the best results. Which means that companies will need to understand the main difference and the market requirements of the 4K video streaming and 6K video streaming before they invest in the production.